Getting your decorating done for the holidays can be overwhelming! Over the years you have accumulated so many darling decorations, there is so much to sort through, there are so many places in your home to decorate, and there is only so much time. These 5 tips can help you get started and get finished with getting your decorating done. 1. Walk through your home and visualize the decorations in place. What special decorations always sit in one area? What areas are focal points in your home for your family and your holiday guests? What decorations are important to your kids? Start with a visual reminder of what is most important to you. Write down notes or draw pictures to help you as you work. 2. Review your calendar and see what time you have and when you want to be complete. If you have 2 weeks until a major event at your home, this accountability will help you. If not, set a date for completion for yourself. 3. Enlist the elves! Ask your family for help of even the smallest kind. Can your kids or husband set up the tree? Can they take down boxes and take our ornaments carefully? Can you pay your cleaning lady to come an extra day to assist? Put on the holiday music and get moving. 4. Choose a strategy to get the job done. It can be decorate room by room, decorate your door frames and table tops, or whatever strategy appeals to you. It will prevent you from roaming from space to space and help you get areas complete. 5. Know the emotion of “enough”. This season of abundance often means you never feel that you are done decorating. Perfectionism may creep in and decorating goes on, and on, and on. Knwoing what “enough” feels like makes a difference in moving forward to the next step of your holiday preparations. 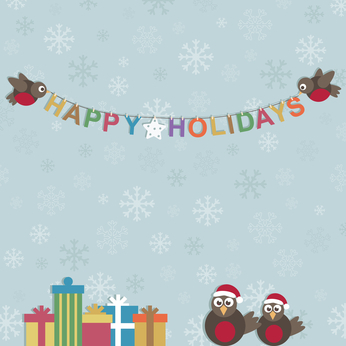 What are your tips for decorating this holiday season? Holiday time is almost here! November begins our holiday celebrations with Thanksgiving, Christmas, Chanukah and New Year’s Eve. 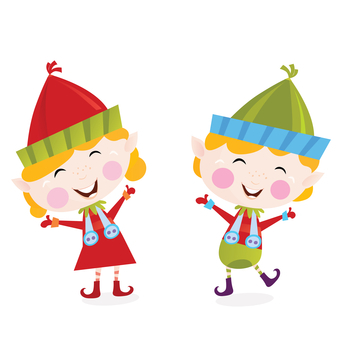 Our holidays bring amazing joy and lots to do at our homes. Doing just a little decluttering makes it easier to decorate your home and helps you feel prepared. Spend on hour on one of these four areas to help you get prepared for your most memorable holiday. •Declutter last year’s holiday cards. It is a powerful way to prepare for this year’s cards by collecting addresses and eliminating extra paper clutter. You will be prepared knowing the number of cards to order too! Just a little less paper means a lot less stress. • Declutter the toys in your home. There is no better way to prepare than by sharing your blessings with other’s less fortunate! Your kids can be a part of the process in choosing what is donated. They can choose 3 toys to donate and bless others. If you have unopened toys or crafts from previous years, it is a great experience for you and your children to bring these to local philanthropies for gift giving. • Declutter your decor as you decorate. While you are decorating for the holidays, create an awareness of what has lost meaning or value to you in your home. Whether it is a knick-knack or books, you can declutter while you decorate to create space for the holiday decorations and create a space for new decor after the holidays. Thrift stores and consignment shops appreciate these items for upcoming holiday shoppers. •Declutter your holiday decorations. Keepsake decorations can be stored and marked to honor wonderful memories and preserve these items to share with your family. Decorations that are in good condition are an excellent donation to local philanthropies and a special way to share the joy of the holiday. Decluttering before decorating makes our holiday less stressful and more joyful. Put on holiday music and get started on one of these small projects. If you struggle with getting started or following through with your decluttering, give me a call to assist. Save your sanity and get organized in 2013! Is getting organized one of your New Year’s resolutions? 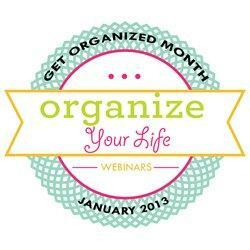 Then Join me this January for 10 amazing webinars from a dream team of presenters for Get Organized month. These classes will help you focus, plan, and organize your time, space, and information. http://theprofessionalorganizer.com/events/organize-your-life-webinar-series/ …. get a special facebook discount with code “fbdeal” for 10% off all classes. Webinar classes include how to organize your time, your paper, your kids, your students, your technology, hoarding and more! Classes offered share specific tools and techniques to impact your daily life. Nationally known professional organizers and productivity coaches available to you in your home by webinar. Affordable solutions to learn about organizing and take that next step in your home or office. Classes begin January 3 and run all through Get Organized Month 2013. Take a step to make 2013 your most organized year yet! Its one place in your home every person uses! Its one place that has very limited space with no option for expansion. Doesn’t your refrigerator need to be organized? Yes it does! Use these 4 tips to get your ‘frig organized. Think about where food keeps best in what temperature and what you need access to most frequently. Milk keeps best on the top shelf in the back. Condiments can have a space in the door. Make it easy to reach items you use every day. Think about categories to keep together. Categories make not be all the same size and shape containers but consolidating in groups makes it easy to find items. Categories can include condiments, dairy, vegetables, fruit, and leftovers. Map out a plan for where categories fit best in the space. Think about uniform leftover containers. Having 3 sizes of the same shape of containers makes it easy to store leftovers. Think about aligning your refrigerator clean out with trash day. It is important to have a routine that allows for discarding leftovers after a certain amount of time. Having a dry erase board on the ‘frig helps with using leftovers too! An organized frig saves you time, saves you money and helps you know what you have to get dinner on the table. What does your ‘frig look like? Time for the turkey trot~ the time of year to get your turkey and Thanksgiving dinner in order! Families and friends gather to celebrate a day of gratitude and connection. 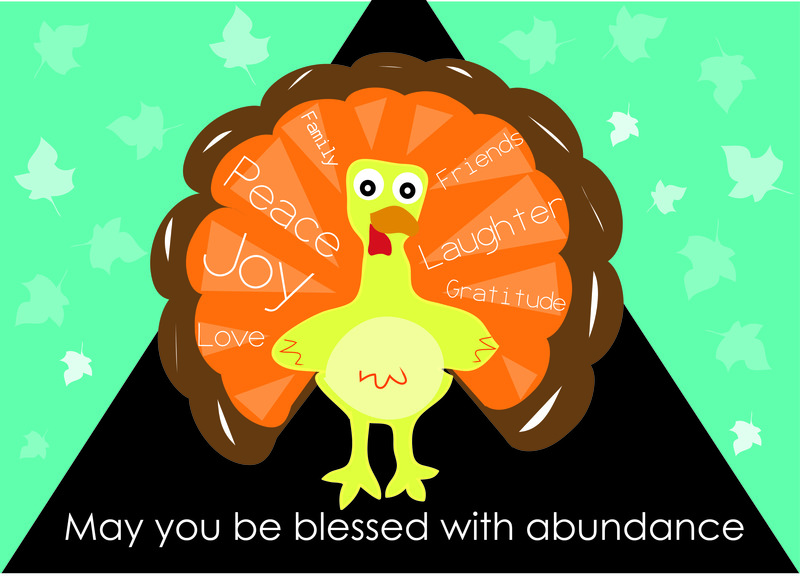 What will make your day focused on thanksfulness? Here are a few organizing ideas. Get ahead with a list. Having a plan makes all the difference. The list begins with who, what, where, when and how. Who will be attending? What will be needed? Where will it be held and what time? And HOW can everyone contribute? Get the goodies. Assign everyone a job, no matter if it is bringing the canned cranberries and rolls. Everyone wants to contribute so be a team player with assignments or step up and volunteer. Get going. Get ahead with your shopping list by going through your cabinets for supplies, including plates and utensils. Shop early for items that are non-perishable. Shop in the evening early in the week to avoid crowds. Set up ahead. You can set up your food stations early in the week as well as tables and chairs. If you are going out, call for reservations early too for best seating. Time it all out. There are lots of goodies and only one oven so create a timeline for how you will cook. Remember that turkeys take time to thaw so plan on extra time for this. Take time to be thankful. As you are preparing and enjoying your time together, spend a few minutes talking about gratitude. Happy Turkey Time everyone! What helpful hints do you have for your family’s turkey trot?